Lyndal Higgins is back for her second week as Leading Lady and she is knocking our socks off! If you haven't seen her first time as Leading Lady you will really want to CLICK HERE right now! Now is the moment you've been waiting for...Lyndal is ready for her next performance! Hi there again Winnie and Walter friends and fans! 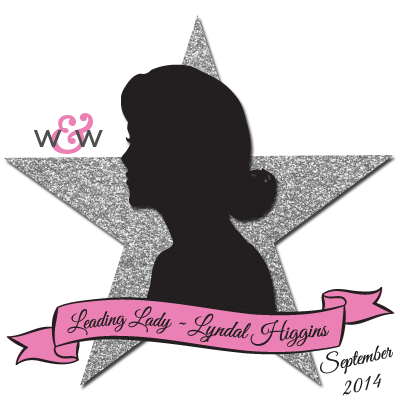 So happy to be back for another installment of Winnie and Walter Leading Lady inspiration. I hope you are enjoying your September so far - I know I am! After the inks and metal last week, I thought I'd do something completely different this week. As the lovely Virginia is in the midst of Patterned Paper inspiration over at Virginia's View, I thought I'd take this opportunity to showcase Winnie and Walter and Patterned Papers. This gorgeous purse card is created using Winnie and Walter Parentville cut file, cut twice, once for the front of the card and a second piece for the back. The front panel is covered in MME paper, and decorated using these beautiful Winnie and Walter The Big, The Bold and the Extras roses, petals and banner, together with Winnie and Walter The Big, The Bold and the Happy sentiment, stamped on a selection of patterned papers from my scrap paper stash in Momento Ink Rich Cocoa. Because the stamped image is quite detailed, it looks more effective on monochromatic patterned paper with smaller pattern repeats. For details on how to create the inside of the card, hop over to my blog, Ideas and Paper. I just love this image from Winnie and Walter This Awesome House, and think it looks super cute in patterned papers. The more "open space" there is in your stamped image, the more busy the patterned paper can be. I stamped the house three times on co-ordinating coloured patterned papers - one busy floral pattern, and two monochrome, then fussy cut and adhered the layers, before pop-dotting. I added these cute co-ordinating patterned paper clouds and sun. The "Happy" is a negative cut using Winnie and Walter The Big, The Bold and the Happy cut file, and the "Birthday" stamp is from Winnie and Walter The Big, The Bold and the Happy. I thought I'd give you a few hints and tips on creating your own patterned paper using Winnie and Walter stamps. I created my own patterned paper for my Halloween mini album for the recent Autumn Release Tour of the Stars, featuring Winnie and Walter Moonlight and This Awesome House. To create more depth and texture, use a piece of monochrome patterned paper as a base, rather than plain paper. Use a sheet of acetate (you can even use the Winnie and Walter packaging) laid on top of the paper so you can position the stamps without getting ink smudges on the paper. Start the pattern from the right hand edge and worked your way backwards, lining up the stamps using a Fiskars stamp press - I love the grid pattern on this - it makes lining up the stamps a breeze. Position the larger stamps first. If there are any gaps after you have stamped, you can fill the gaps using the smaller words and images. Colour the images to match the theme, or photos. Add some sparkle for fun! 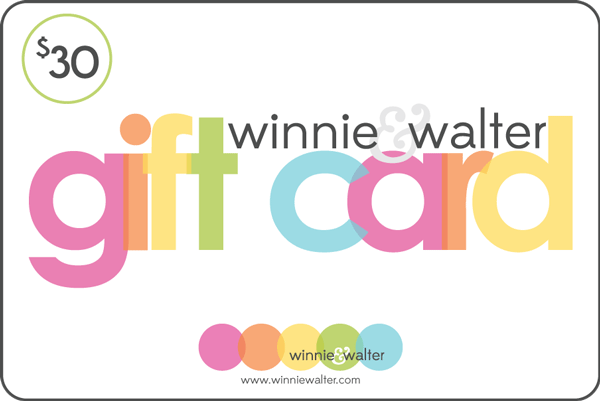 I'd LOVE you to stop by my blog, Ideas and Paper, and say HELLO - as well as a chance throughout September to WIN a $30 gift card for Winnie and Walter, just for leaving a comment! Once again, a HUGE thanks to Shay and Julie for their generosity, and for this fabulous opportunity! love. Love. LOVE the house, sun, clouds, bold sentiment ... was just at site to purchase the big bold you set and they're temporarily out of stock ... so I know where MY winnings would go! thanx for the inspiration and blog candy opp! Fabulous projects, Lyndal! You've showcased these sets wonderfully!! Enjoyed your projects! I'm going to try your tips to make my own patterned paper. Should be fun! beautiful projects!! house looks very beautiful!! Wow! The purse card is so cool! The Awesome House looks gorgeous in patterned papers! LOVE the BEAUTIFUL flowers & flowing banner on your purse card, LOVE your HAPPY AWESOME house and LOVE your BOO-tiful album page!!! Very creative! Think I'll hop over to Lynda's blog and let her know how much I like her projects. Her purse is just adorable, as is the bright and cheerful home. Winnie and Walter stamps definitely look great on pattern paper. Awesome! 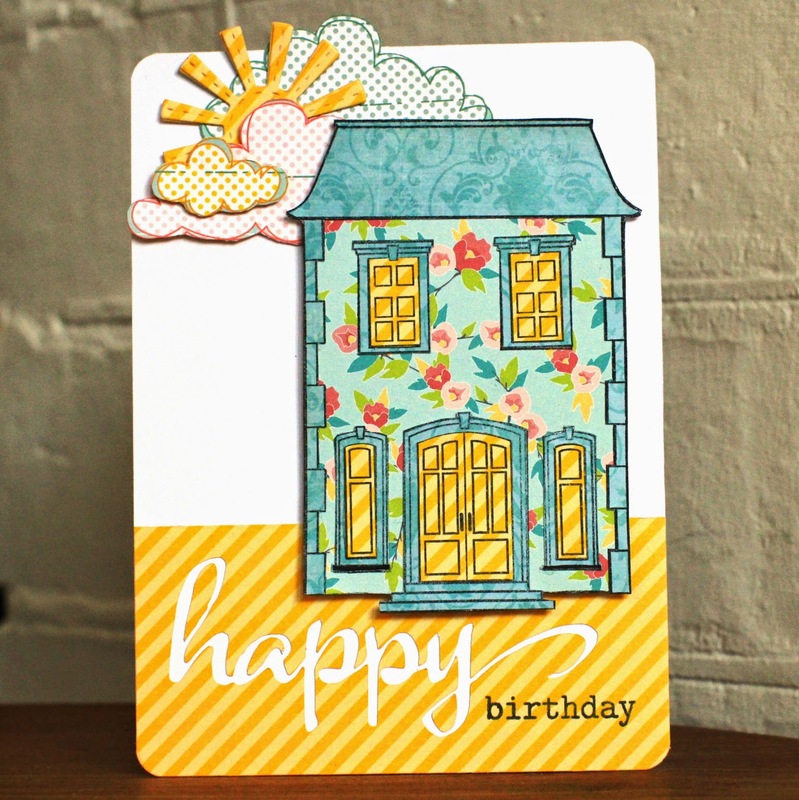 I love the bright happy (house) card!! Wonderful use of patterned paper...sweet cards. 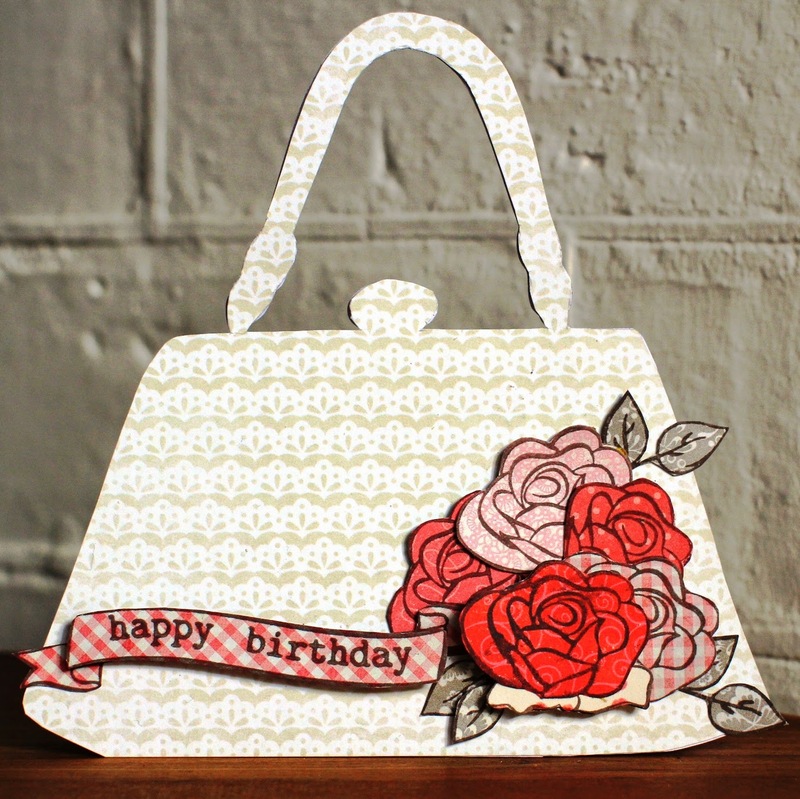 The purse card is so amazing and I love the house used with pattern paper, so adorable!! Love your projects Lyndal :) those paper pieced flowers on the handbag and the house are fabulous thanks for sharing its a technique i don't think to use often. 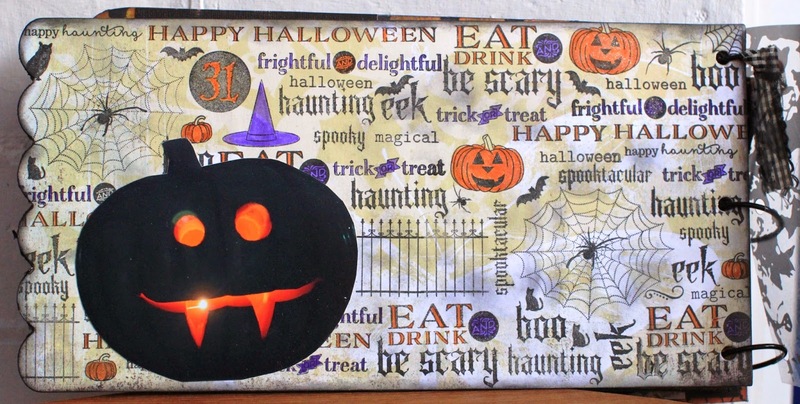 I love the halloween background. I just received this stamp set and havent had a chance to play with it yet. Oh my gosh, I never would have thought to use flowery paper. SO cute.